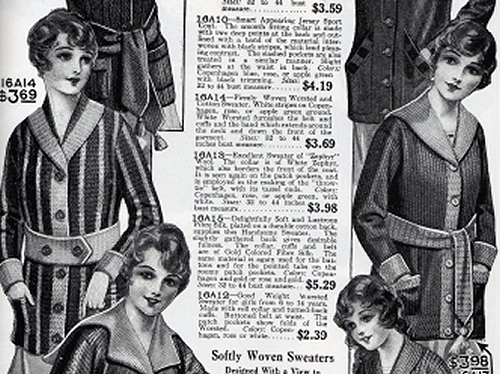 When Is a Designer Pattern Not a Designer Pattern? 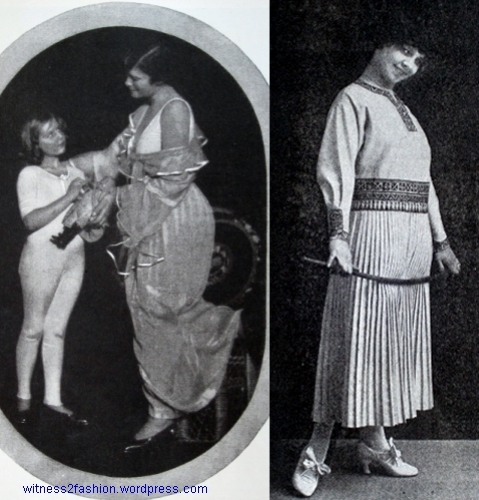 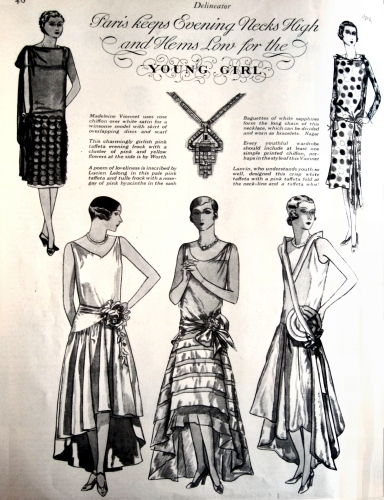 [Five years later, Vionnet and Butterick were apparently on very good terms, since she even wrote an article for Butterick’s magazine, The Delineator, in 1927.] 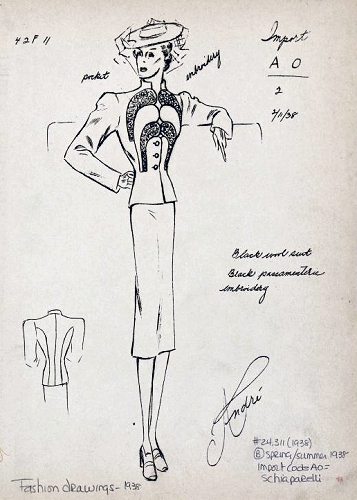 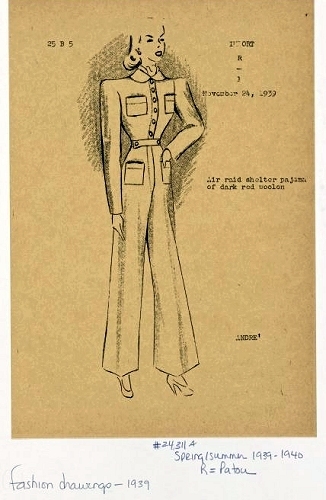 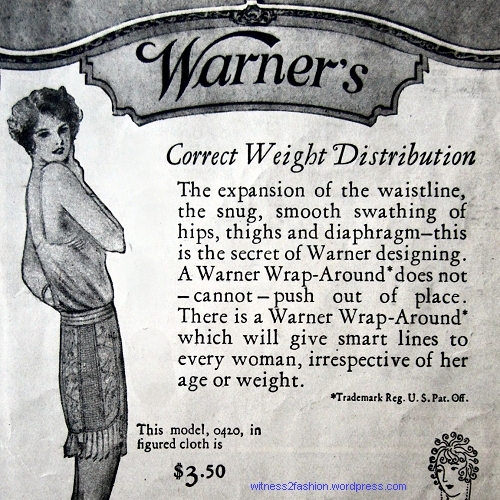 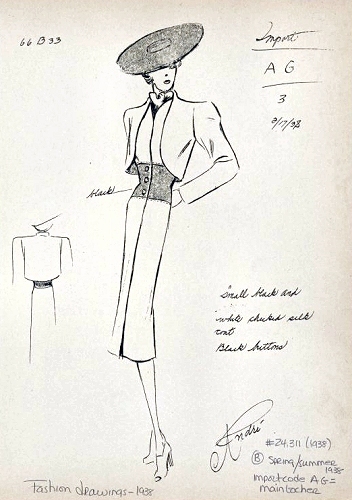 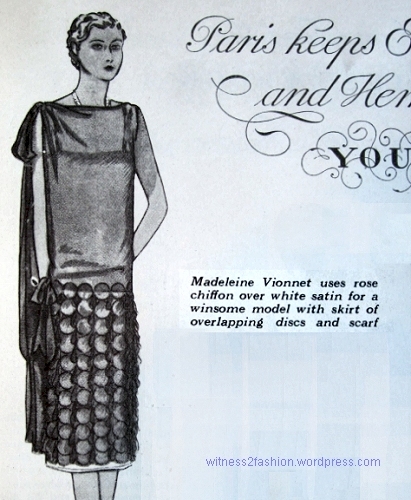 Nevertheless, over the years, Vionnet filed many other lawsuits in an attempt to prevent manufacturers from selling unauthorized copies of her designs. 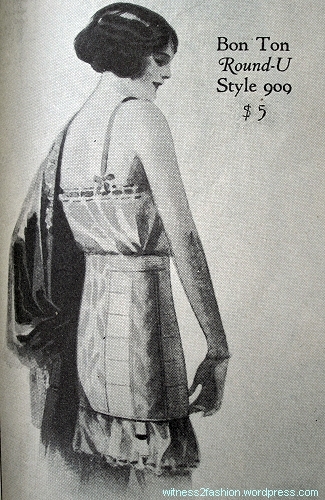 Is This Dress a Lanvin Designer Pattern? 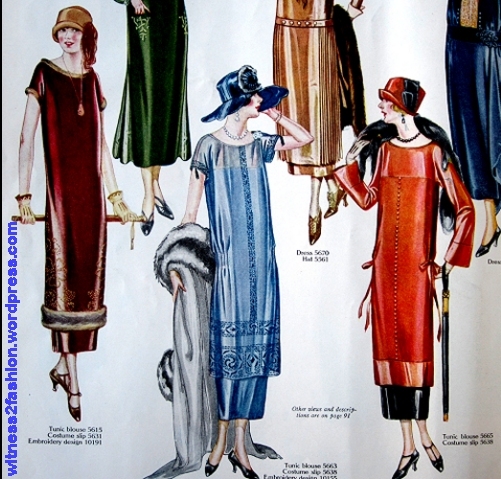 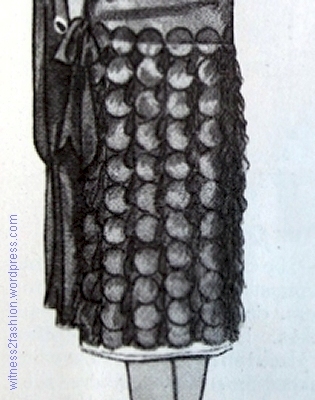 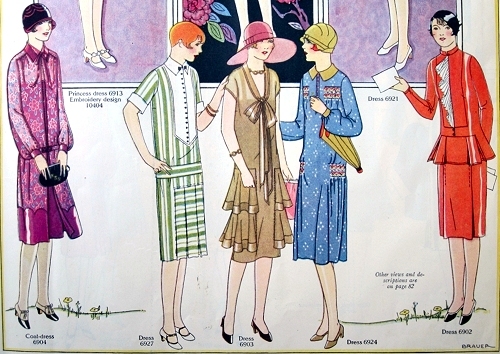 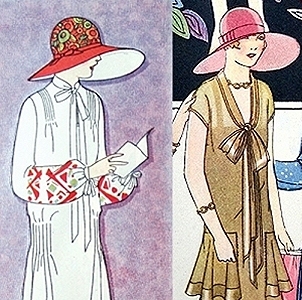 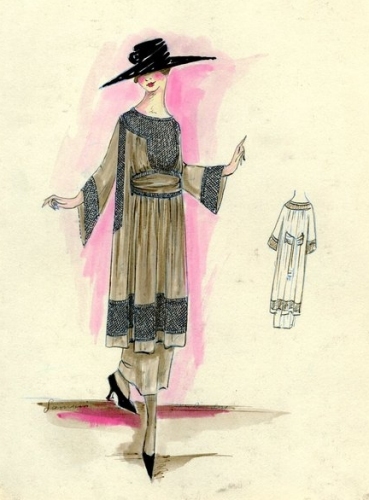 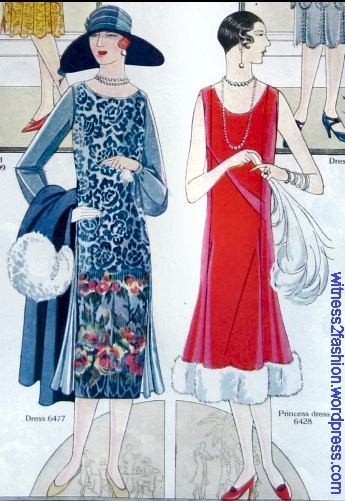 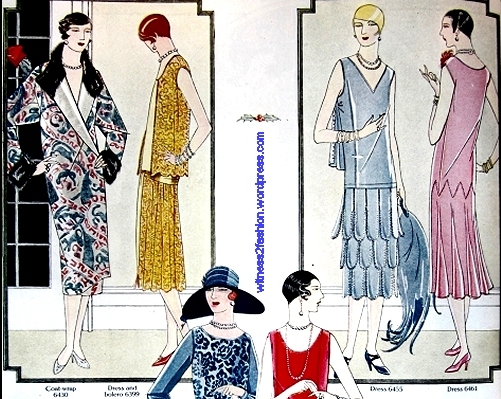 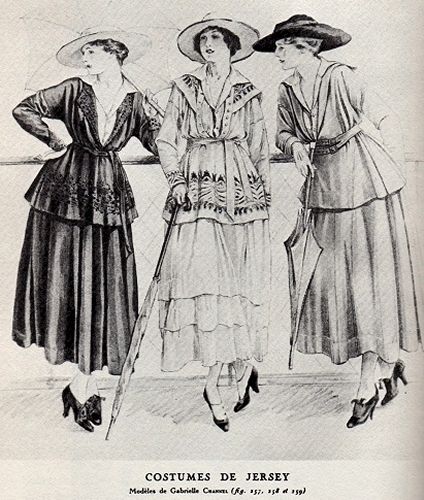 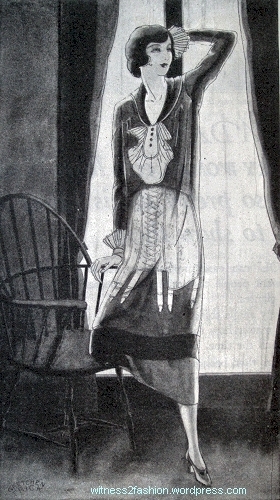 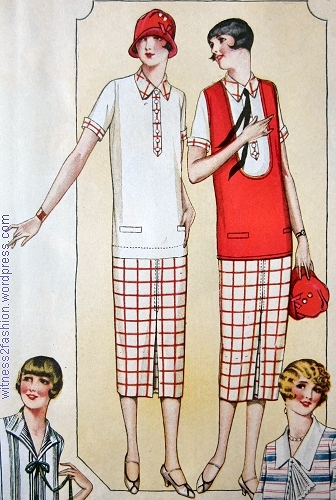 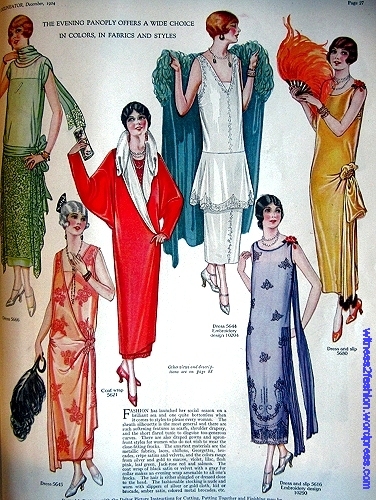 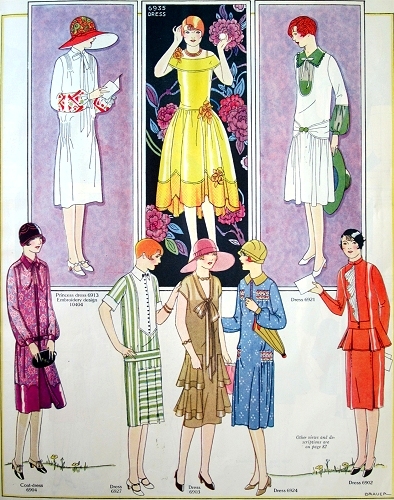 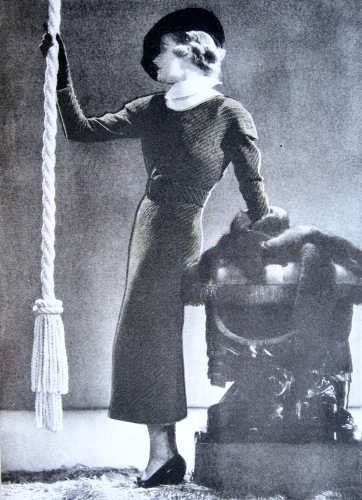 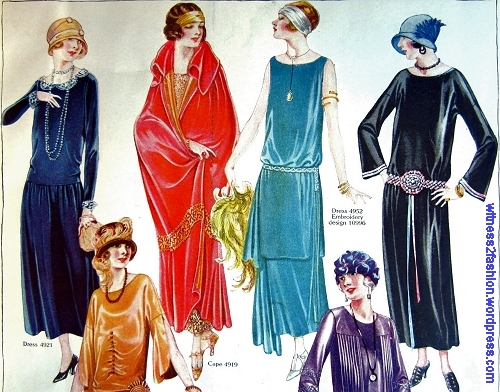 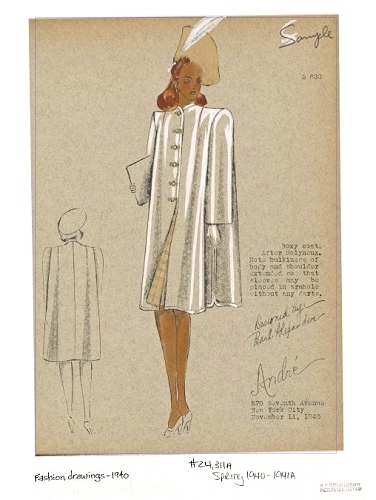 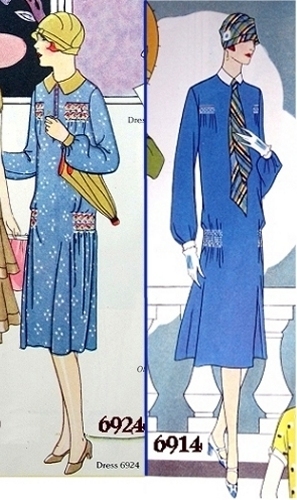 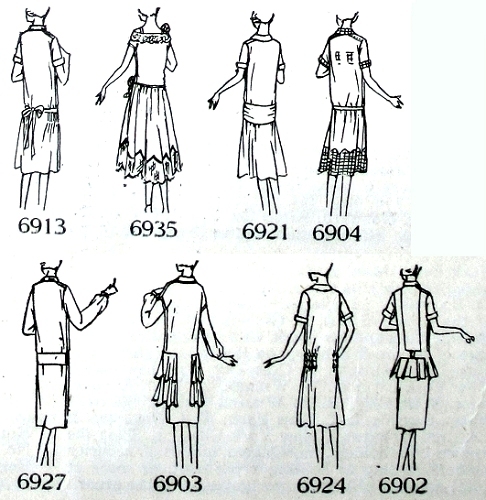 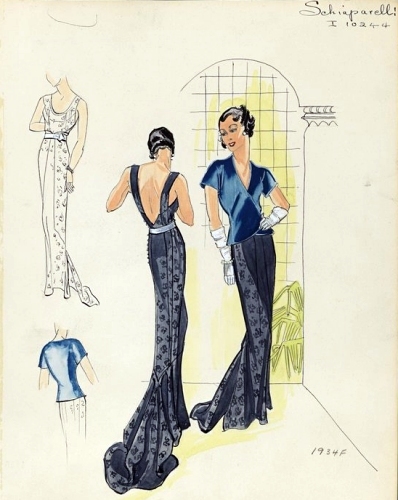 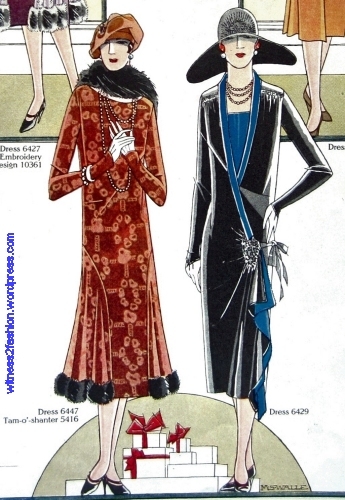 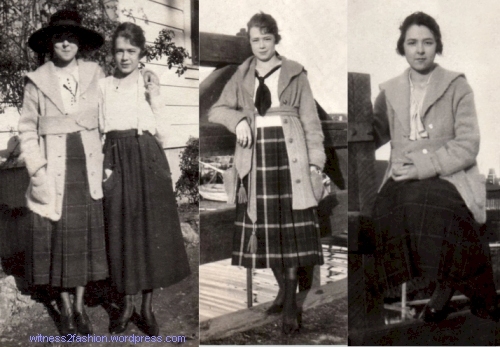 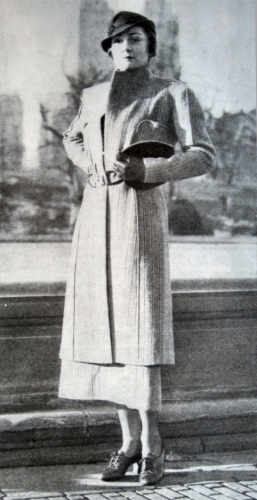 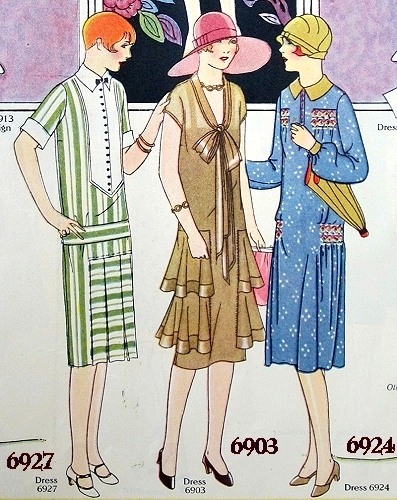 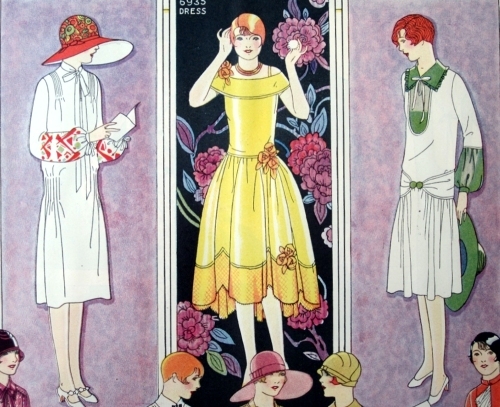 This dress pattern, Butterick # 5870, was featured in Delineator magazine in August, 1934. 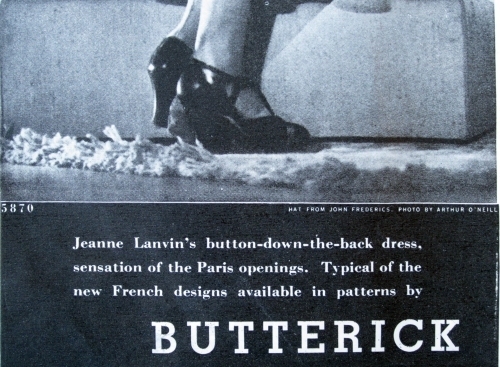 This caption does not use any of the usual ‘hedge words’ like ‘after Lanvin,’ ‘inspired by…,’ ‘in the manner of…’; it says “Jeanne Lanvin’s button-down-the-back dress, sensation of the Paris openings.” Does that mean Lanvin authorized this pattern? 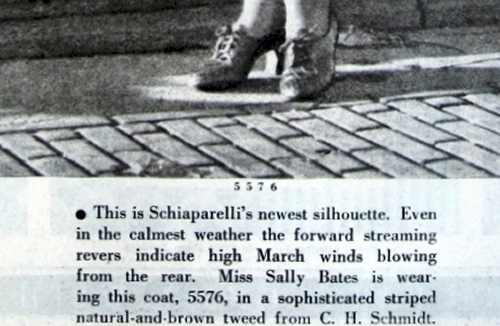 Is This Coat a Schiaparelli Designer Pattern? 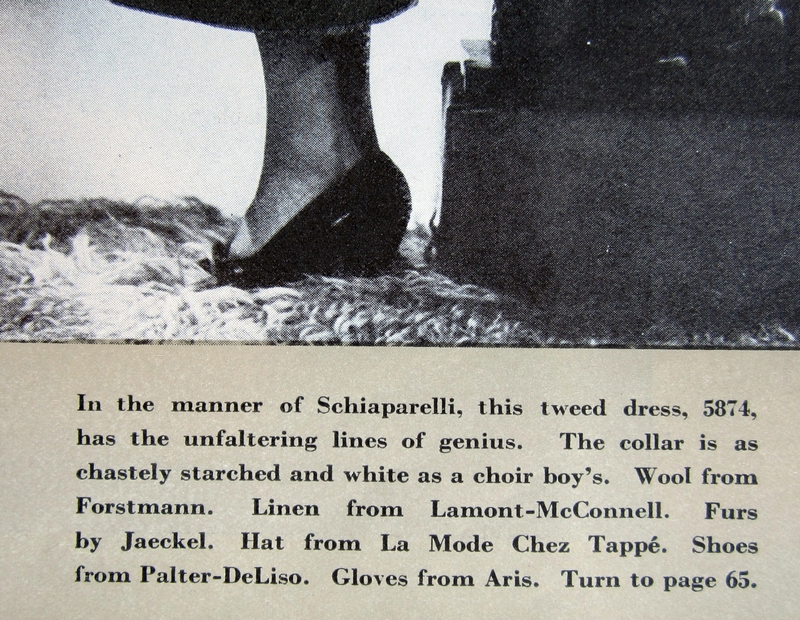 Is This Dress a Schiaparelli Designer Pattern? 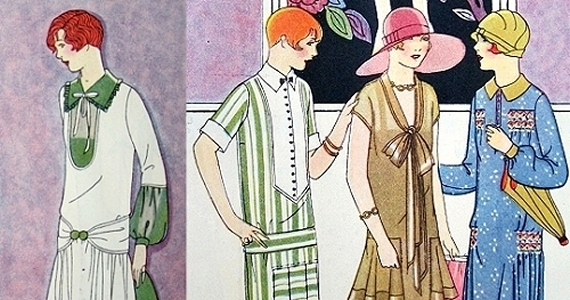 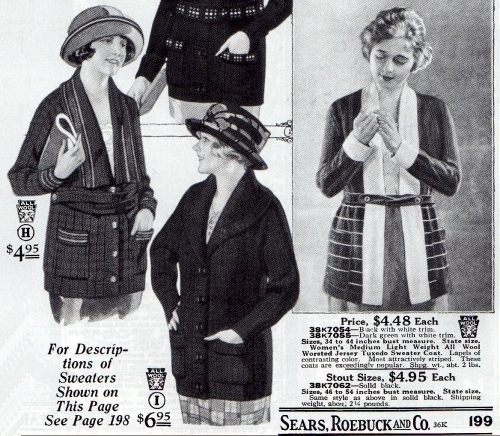 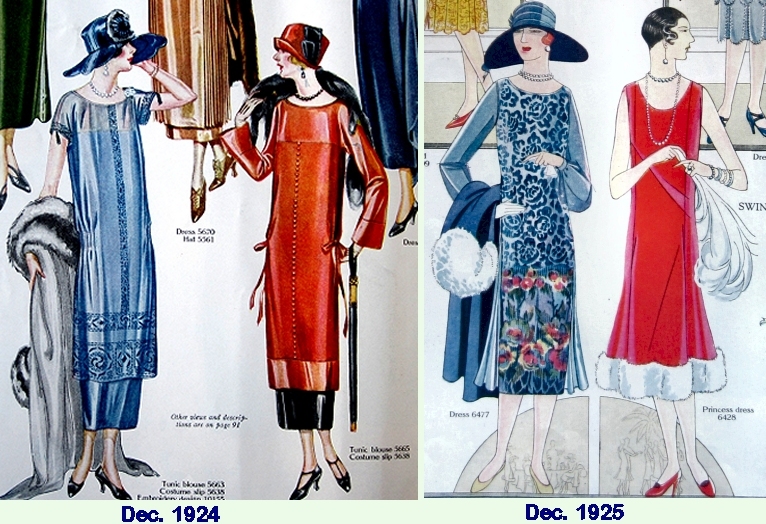 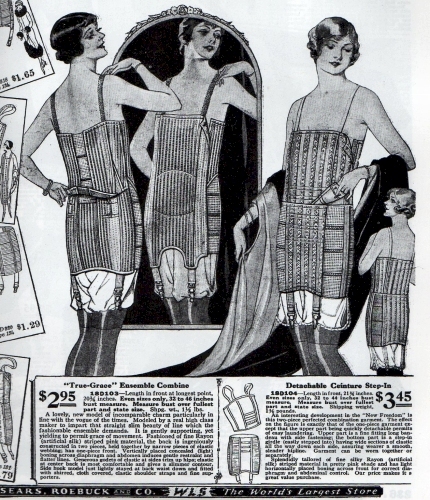 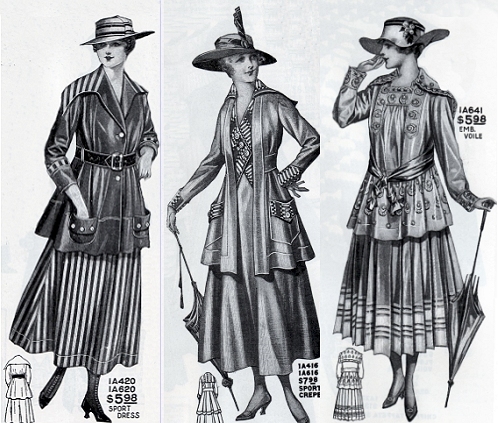 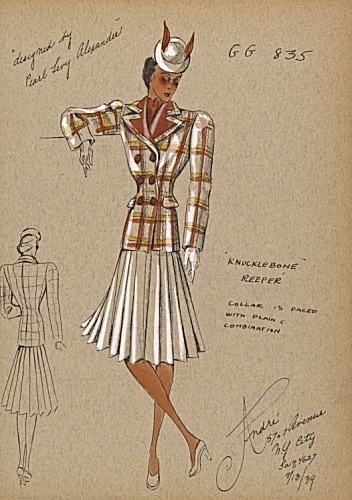 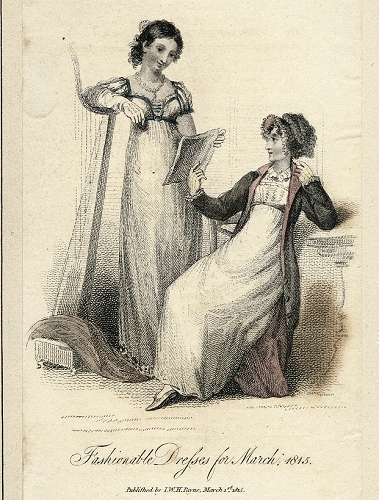 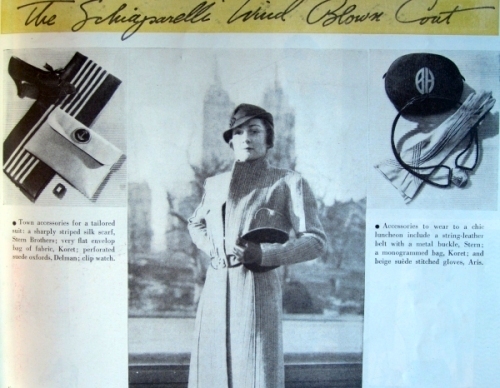 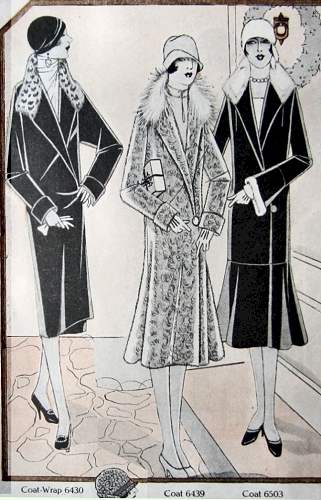 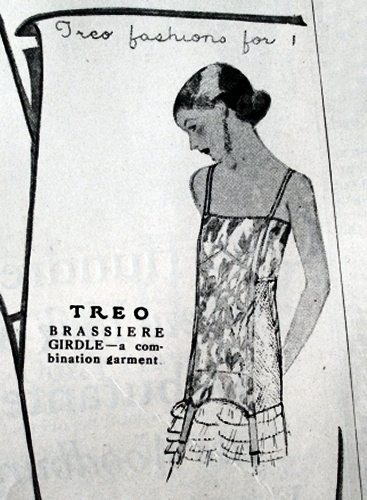 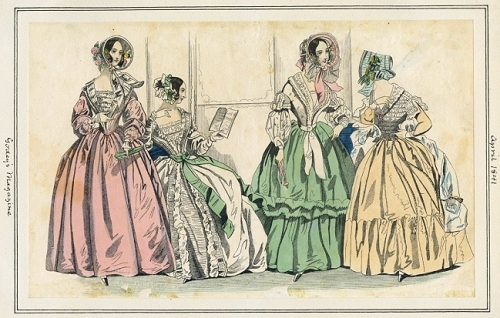 “While Vogue Pattern Book featured “couturier” patterns as early as 1937, these patterns were not exact reproductions of actual styles. 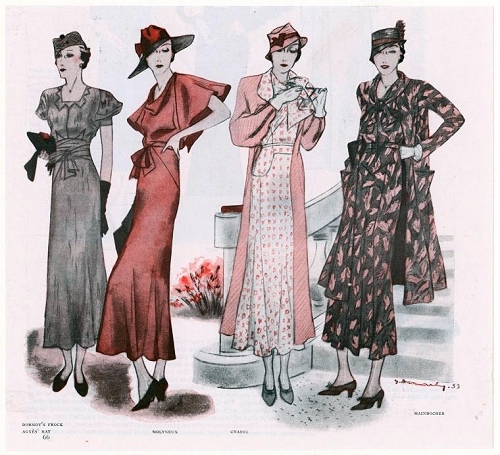 But in 1949, Vogue Patterns announced “A New Pattern Service—Paris Original Models Chosen From The Collections.” The cover of that year’s April/May pattern book showed photographs of the styles chosen from the eight featured countries [couturiers? 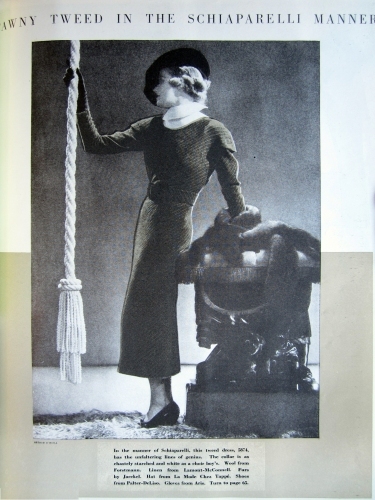 ], among them Balmain, Schiaparelli, Lanvin, Jaques Fath. 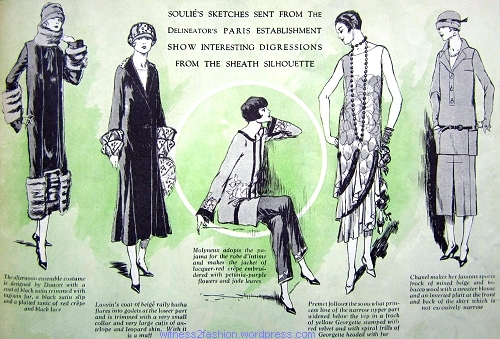 And yet, The Pattern Vault has Authentic Paris Patterns that say “This pattern reproduces exactly the original garment of this design made in Paris by Schiaparelli.” Sarah at Pattern Vault also has copies of the Authentic Paris Pattern Company booklets for sale on her Etsy store, so it is possible to read the articles in them. 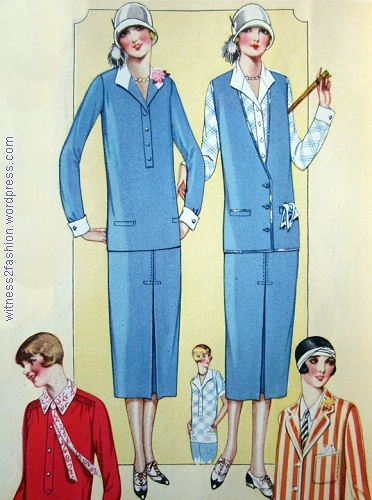 (I haven’t – I just discovered them.) 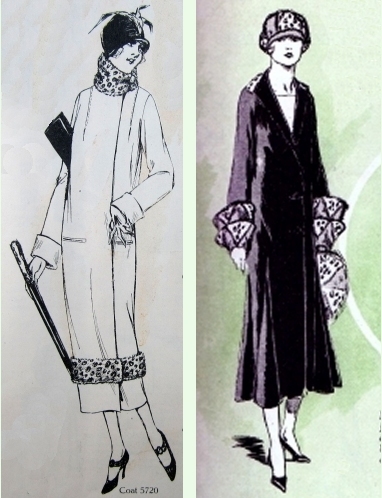 Until some scholar finds copies of the licensing agreements from all the pattern companies, we’ll just have to hope that the designers were participating and being recompensed. 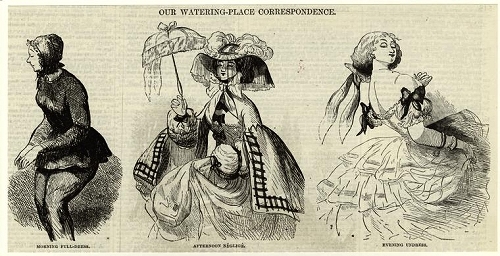 I’d welcome comments — I really don’t know the answers to the questions I’m raising.